The Lighthouse, Scotland’s Centre for Design and Architecture is a unique venue steeped in history. As Scotland’s Centre for Design and Architecture the building has a real creative buzz making it a truly individual venue to host your event. Please contact us for a venue hire quote. Below are links to our current catering menus complete with prices, if you have any queries about the menus please don’t hesitate to drop us an email or give us a call. 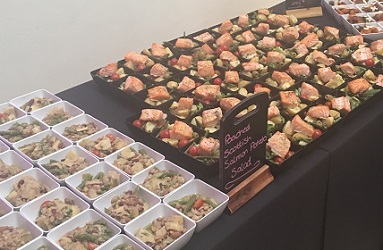 All of our catering is supplied and expertly delivered by Encore Hospitality Services, no other catering services may be used for any events at The Lighthouse. All final numbers for catering must be confirmed at least one week prior to your event. Our fixed price menu options must be selected four weeks in advance. If any of your guests have special dietary requirements or allergies please let us know at the time of booking. 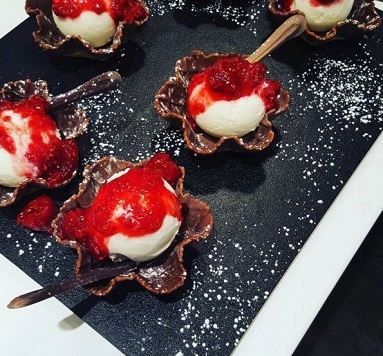 Alternatively if you would like customised menus to suit a particular theme or budget please do let us know and we can work with our in-house catering team to create a bespoke menu.